The first (Xingcheng, Huludao) International Swimsuit Model Contest kicked off on June 13 and will last till August 16, at Xingcheng, Huludao City of Liaoning Province. This is the first model contest in China which will mainly focus on the swimsuit presentation. Since it opened in June the contest has received lots of attention and attracted hundreds of professional models in China and abroad. The contest is organized by the China National Garment Association, Liaoning Economy and Information Committee, and the local government of Huludao and it is part of the First China (Xingcheng, Huludao) International Swimsuit Culture Festival. 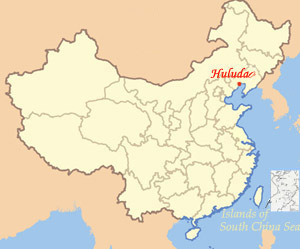 Huludao City, north of Liaodong Bay, is one of the three largest swimsuit production bases around the country. Till now, there are over 350 swimsuit enterprises in the city, producing more than 100 million swimsuits yearly and earning 5 billion yuan each year. The swimsuits produced in Huludao not only sell well in China but they are also getting popular in other countries.